This is a character I started recently based on a prototype concept. 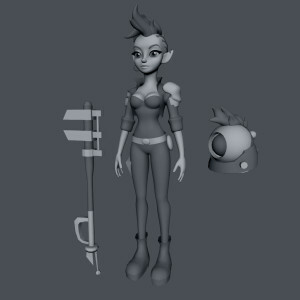 Blockout is basically done, ready to go into high poly/sculpt stage now. There are some proportional things I’m looking at changing like the eye-size, and tweaking her posture. 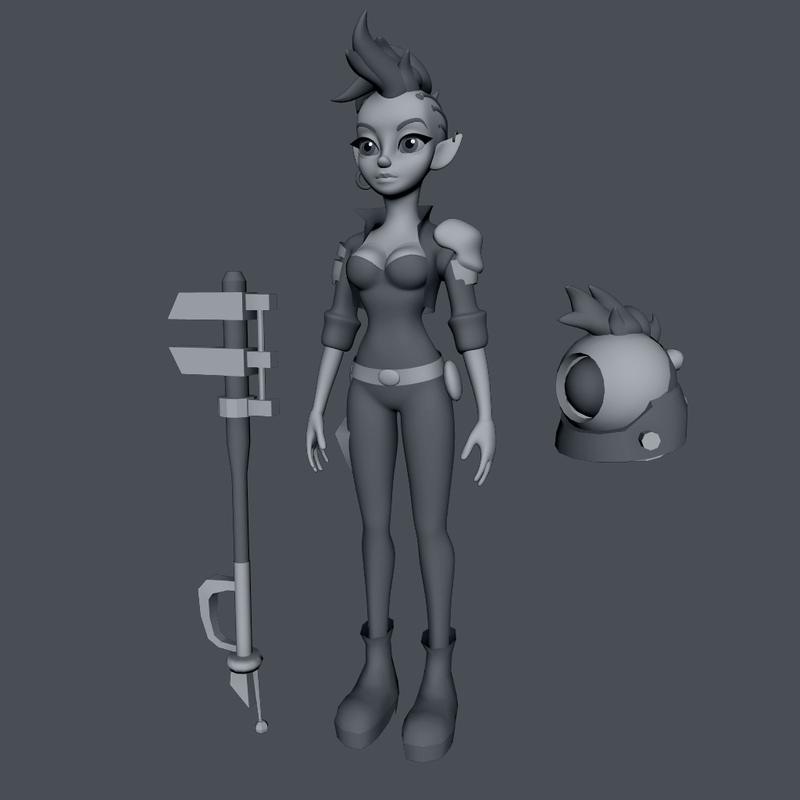 Still wondering if I want to keep the wrench head end on her “bat” or stick more with just a straight up sci-fi baseball bat. The wrench fits with her gearhead/scavenger trait, so I like that. Jason Young-Game Artist is powered by	WordPress 4.5.17 and delivered to you in 0.309 seconds using 22 queries.